Yusuf Islam commonly known by his former stage name Cat Stevens, is a British singer-songwriter and multi-instrumentalist. His 1967 debut album reached the top 10 in the UK, and the album’s title song ‘Matthew and Son’ charted at number 2 on the UK Singles Chart. Stevens’ albums ‘Tea for the Tillerman ‘(1970) and ‘Teaser and the Firecat’ (1971) were both certified triple platinum in the US. His 1972 album ‘Catch Bull at Four’ spent three weeks at number one on the Billboard 200, and fifteen weeks at number one in the Australian ARIA Charts. He earned two ASCAP songwriting awards in 2005 and 2006 for ‘The First Cut Is the Deepest’,, His other hit songs include ‘Father and Son’, ‘Wild World’, ‘Peace Train’, ‘Moonshadow’, and ‘Morning Has Broken’. In December 1977, Stevens converted to Islam, and he adopted the name Yusuf Islam the following year. In 1979, he auctioned all of his guitars for charity and left his musical career in order to devote himself to educational and philanthropic causes in the Muslim community. He was embroiled in a long-running controversy regarding comments which he made in 1989 about the death fatwa on author Salman Rushdie. In 2006, he returned to pop music – releasing his first album of new pop songs in 28 years, titled ‘An Other Cup’. With that release and subsequent ones, he dropped the surname “Islam” from the album cover art – using the stage name Yusuf as a mononym. He was inducted into the Rock and Roll Hall of Fame in 2014. ‘Mona Bone Jakon’ was only a modest success upon its initial release, but it attracted attention in the wake of the commercial breakthrough of its follow-up, ‘Tea for the Tillerman’. ‘Tea for the Tillerman’ was the story of a young man’s search for spiritual meaning society he found abhorrent. It didn’t hurt, of course, that Stevens had lost none of his ability to craft a catchy pop melody; the album may have been full of angst, but it wasn’t hard to sing along to. As a result, ”Tea for the Tillerman’ became a big seller and, for the second time in four years, its creator became a pop star. 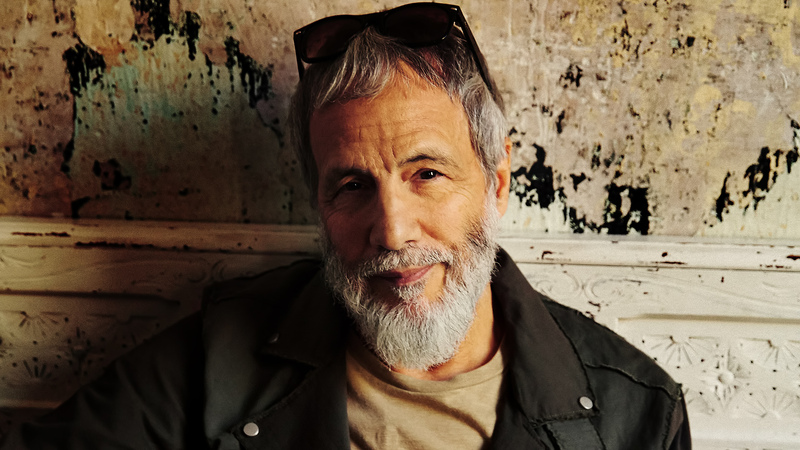 Even as a serious-minded singer/songwriter, Cat Stevens never stopped being a pop singer at heart, and with ‘Teaser and the Firecat’ he reconciled his philosophical interests with his pop instincts. The album produced three hit singles and just missed topping the charts. ‘Tea for the Tillerman’ may have been the more impressive effort, but ‘Teaser and the Firecat’ was the Cat Stevens album that gave pleasures to more people, which in pop music is the name of the game.